This is the earliest known picture of Joe Jefferds in a company situation. Joe founded the Company. 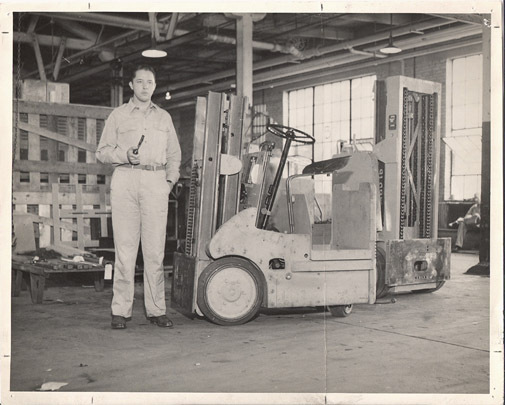 This picture was taken inside the factory of Automatic Transportation Co. of Chicago-an early fork lift line that Jefferds and Moore handled. 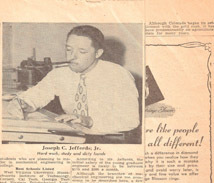 The photo was taken in late 1947.
about Joe Jefferds from the Charleston Gazette. 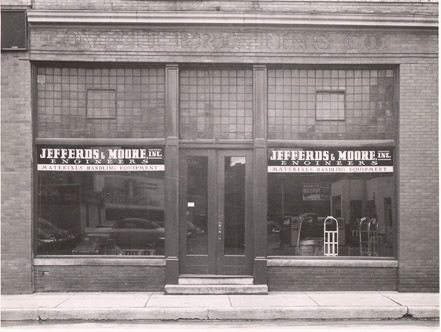 This is the original location of Jefferds and Moore on Virginia Street in Charleston, WV. 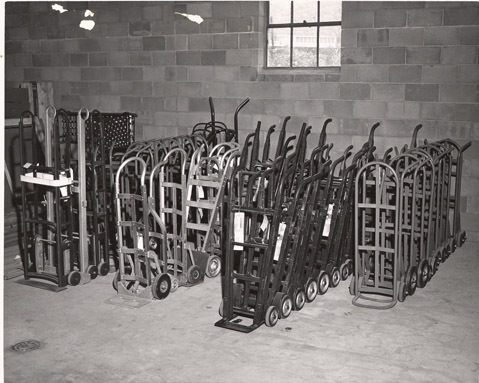 Note the hand trucks in the window-a product line we still handle. Faintly in the window is a reflection of a late 1940’s auto parked across the street. and the basic design hasn’t changed much over the years-this is from the 1950’s. 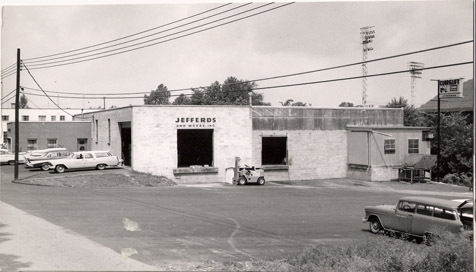 This shows early construction on the second location of Jefferds and Moore. It was on Chesterfield Avenue in Kanawha City. The lights in the background are from the old Watt Powell Baseball Park. 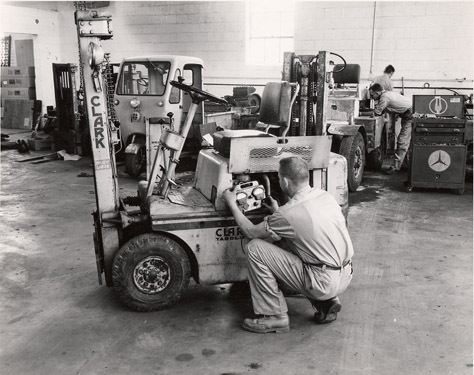 Note the forklift that has no overhead guard-it was not required then. Picture is from the late 50’s; note the ’57 Chevy! This is the shop area of the Chesterfield Avenue location. 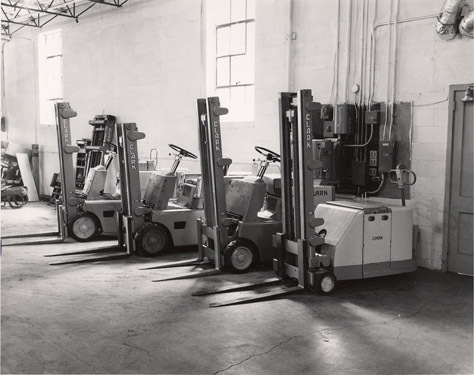 Note the absence of Overhead Guards on the lift trucks. 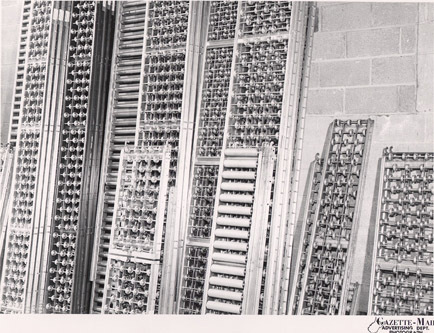 in the late 50’s-we still stock and sell it today! 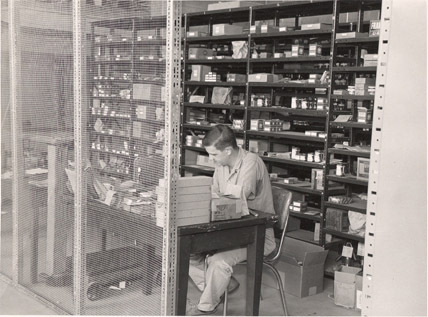 working in the Parts Area of the Chesterfield Avenue location. 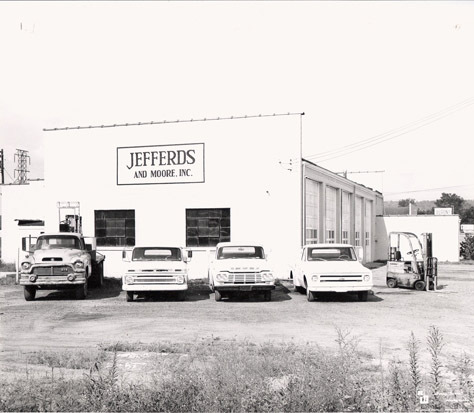 of Jefferds Corporation until he retired in 1998. Frank continues to serve on the Jefferds Board of Directors. This is the front of the building in Kanawha City. 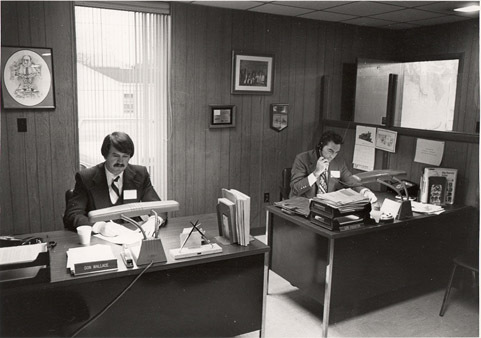 On the right is Bill Ashley who was a Vice President of Operations into the mid-80’s. 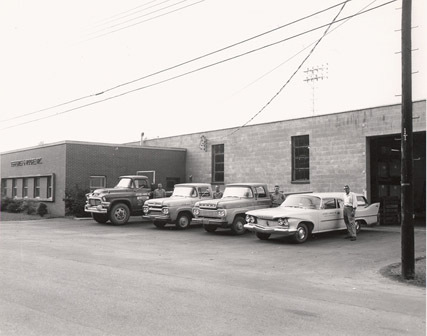 Based on the vehicles, this photo dates from the early 60’s. 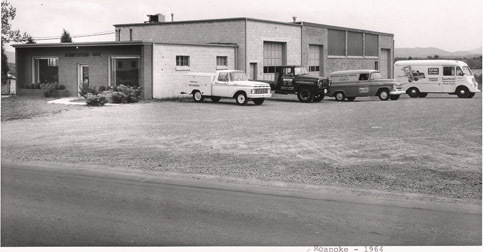 This is the Roanoke location in 1964.
but we are still located there on Salem Turnpike. 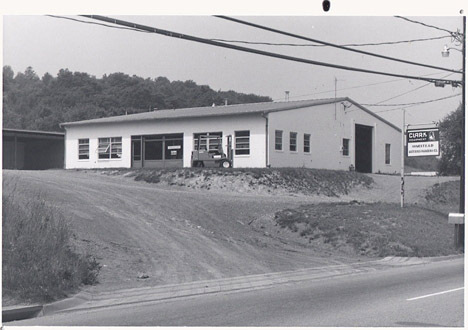 This photo shows the rear of the Parkersburg building in 1967.
to that growing area of West Virginia. both of whom served as salesmen out of our Huntington, WV office. Don Preston retired in 1999 and Don Wallace retired in 2005. This is the first location in Staunton, Virginia on Route 250. We moved there in late 1975. The building still stands. 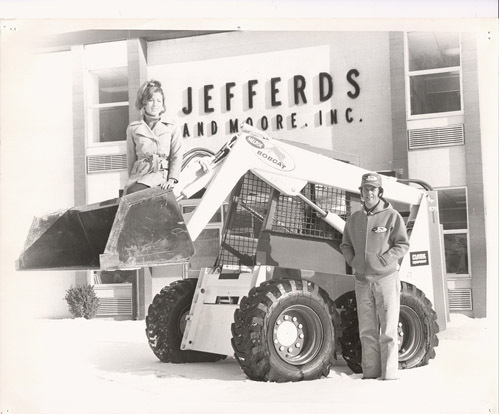 This picture was taken about 1976 as our Company name changed from Jefferds and Moore to Jefferds Corporation in 1977. Jim Wallace, who retired in 2004, is standing by the Bobcat model 975-the largest unit that Bobcat made at that time. Kay Mallory is in the bucket-she served as our Rental Manager in St. Albans until her retirement in 2013. Visit our Sales, Service, and Rentals Dealerships!